The Chargers’ defense was sensation. The special teams wasn’t too shabby considering some of their past performances. The offense put up more yards than a pretty consistent New England Patriots offense could. So what went wrong that forced the Chargers to lose to the Patriots 20-23 and fall to 2-5 on the season? The Chargers turned the ball over four times in their first six possessions. Three fumbles and one interception, all before half time. Two of the Chargers’ lost fumbles were simply knuckle-headed plays. Richard Goodman caught a 25-yard pass and fell to the ground. After falling to the ground, he put the ball down without being touched and the ball was consequently picked up by Patriot safety James Sanders. The next drive, Rivers threw a short pass to fullback Jacob Hester who was swinging out of the backfield. Rivers threw the ball backwards, making it a lateral. The ball hit Hester and fell to the ground, becoming a live ball. Hester started to walk off of the field until Patriot linebacker Rob Ninkovich pounced on it and ran it back all the way to the Chargers’ 8-yard line before being tackled by Rivers. The next drive Rivers threw a deep pass to Crayton, which was intercepted by rookie Patriots’ cornerback Devin McCourty. Everything seemed to be unraveling in a hurry as the Chargers headed into halftime down 13-3. As the second half started, things only got worse. The Patriots scored on the first drive by way of a Green-Ellis one yard run, bringing the score to 20-3. That drive took almost 10 minutes, leaving the Chargers in a deep hole with a little over one quarter left. Both teams traded field goals, leaving the score at 23-6 with 11:31 to play. 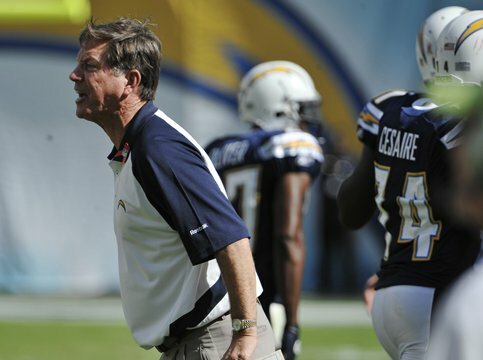 And as has seemed like a problem throughout the first seven weeks of the 2010 NFL season, the Chargers finally decided to kick it in gear with a big deficit to overcome and not a whole lot of time to do it. Their next two possessions yielded touchdowns from Gates and running back Mike Tolbert, aided greatly by a successful onside kick that was recovered by Goodman in between the two touchdowns. Unfortunately, Brown’s kick would end up hitting the upright and missing to the right, effectively putting the game out of reach. Overall on offense, the Chargers weren’t that bad. Quarterback Philip Rivers threw for 336 yards on 50 attempts, throwing one touchdown and one interception. Four players (Patrick Crayton, Darren Sproles, Buster Davis, Antonio Gates) had at least 50 yards receiving, and ten players had at least one catch. The offense proved that it didn’t need wide receivers Malcom Floyd and Legedu Naanee to get production, but the inexperience of players like rookie wide receiver Richard Goodman was more than obvious. Although the Chargers were dominant through the air, but struggled to get the ground game going. Rookie running back Ryan Mathews led the team with 15 yards on eight attempts. The defense, however, was sensational. They held the Patriots’ quarterback Tom Brady to only 159 yards on 32 attempts. The Patriots leading rushers, BenJarvis Green-Ellis and Danny Woodhead, both finished the day with 24 yards on the ground. New England’s offense sputtered throughout the entire game, yet managed to put up 23 points due to the short field that they were given to work with throughout the entire first half. 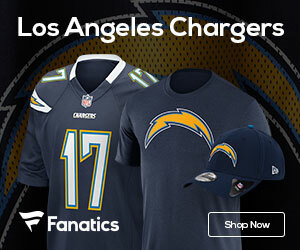 Despite the strong performances of both the offense and the defense, the four turnovers were too much to overcome.Whether it’s to blame on inexperience, miscommunication, or just poor performance, the Chargers’ woes will continue on as they fall to 2-5, tied with the Denver Broncos for the last spot in the AFC West. The offense will need to be running on all cylinders and make sure to take care of the ball next week when the Tennessee Titans come to visit at Qualcomm Stadium. The defense has been solid and just needs to stick with what they’ve been doing. As for special teams, there is much room for improvement. The Chargers remain first in the league in both offensive and defensive yards per game, but cannot seem to consistently find ways to win. Whether it’s poor special teams or a huge deficiency in the turnover margin, something needs to change if the Chargers hope to work their way back into the AFC West race and earn themselves that trip to the Super Bowl that always seems to elude them. Antwan Barnes, Linebacker: Barnes consistently put pressure on Brady throughout the game, bringing him down twice for sacks. After recently being added as a free agent, Barnes has made his presence felt and could continue to do so next week. Seyi Ajirotutu, Wide Receiver: I’ve had high hopes for him since the beginning of training camp, and he has shown glimpses of play-making ability. The Titans have a sub-par pass defense, and if Floyd and Naanee are still no-goes on Sunday, look for Tutu to make an impact. Antwan Applewhite, Linebacker: The Chargers will have their hands full with Titan’s running back Chris Johnson next week. Applewhite has proven that he can be a strong contributor alongside fellow linebackers Stephen Cooper and Shaun Phillips, and should be up to the challenge of corralling Johnson. Cooper a strong contributor? You’re not watching the games closely enough, he’s having a terrible year and is weak at MLB.